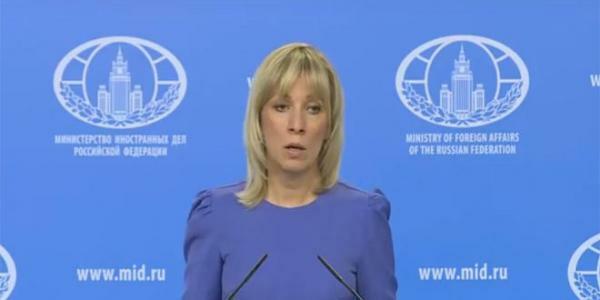 Russian Foreign Ministry spokeswoman Maria Zakharova said that US attacks should target terrorists in Syria and not the legitimate government which has waged a war on terrorism for years. “Smart missiles should fly towards terrorists, not the legitimate government which has been fighting against international terrorism on its territory for several years,” Zakharova wrote Wednesday on her Facebook page. Zakharova went on to say that the US missiles attack on Syria threatened by US President Donald Trump could be a possible attempt to cover up the evidence proving there had been no chemical attack in Douma. “Have the OPCW (Organization for the Prohibition of Chemical Weapons) inspectors been warned smart missiles will eliminate all alleged chemical weapons-related evidence on the ground?” she said. “Or is the real purpose to promptly eliminate the traces of a provocation using smart missile strikes to create a situation where international inspectors will have no evidence to look for?”” Zakharova inquired.